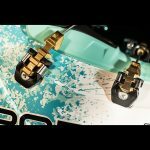 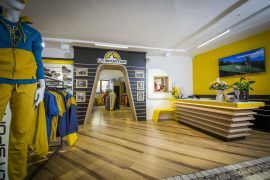 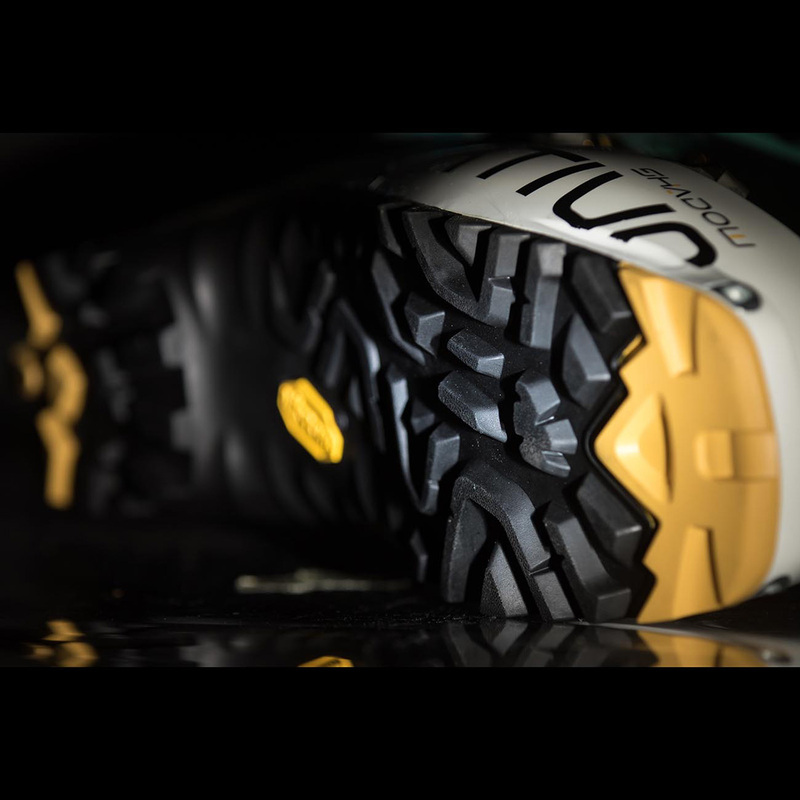 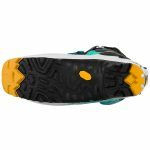 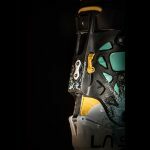 Shadow is the women’s ski boot designed by La Sportiva for free-ride ski mountaineering and for female ski mountaineers who love skiing on powder. 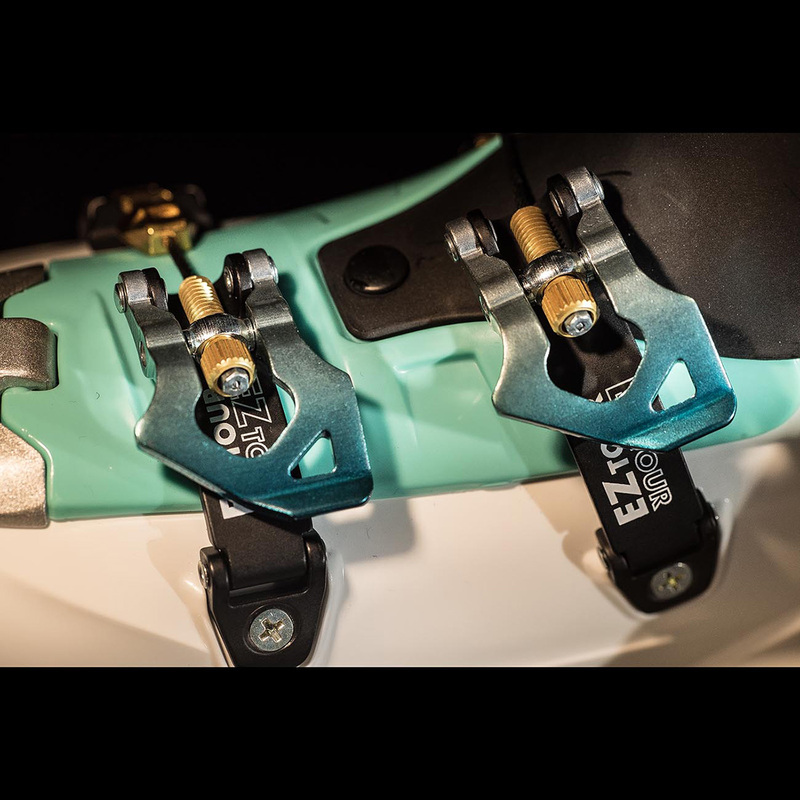 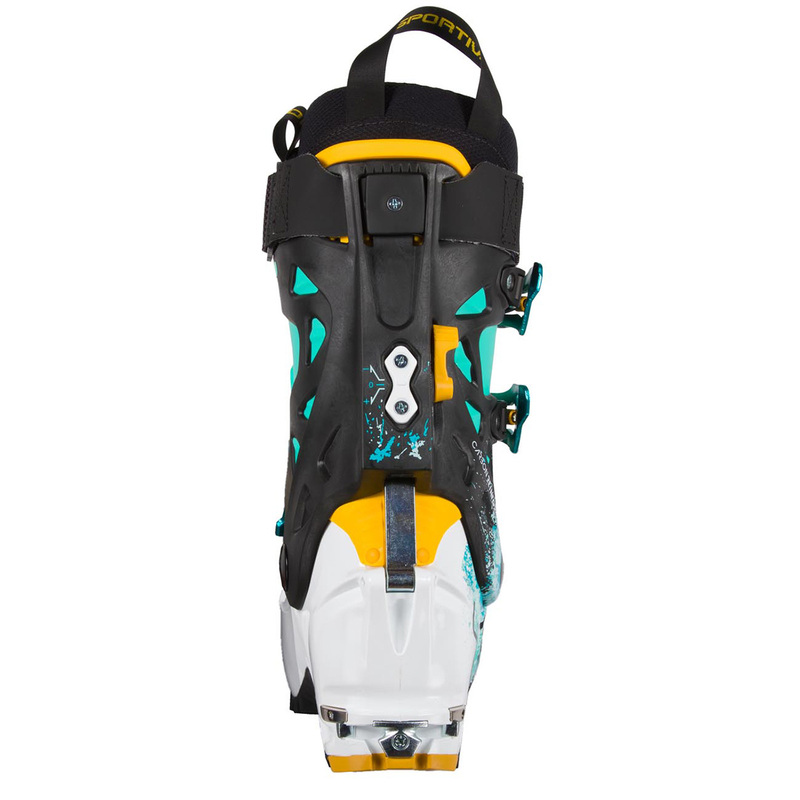 It combines the power, resistance and precision comparable to a ski boot for downhill skiing, with the lightness and mobility of a ski boot for the new generation skialper. 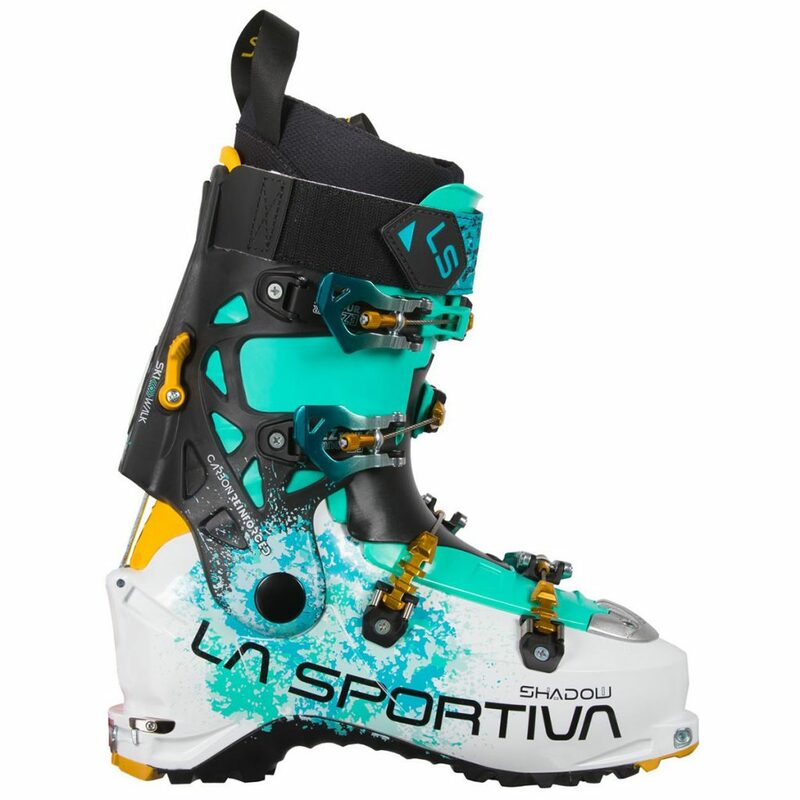 Women’s Ski Touring Boots: Shadow by La Sportiva: female free-riding, to the max. The Shadow structure allows you to enjoy descents on powder snow relying on the perfect transmission of power and control over the skis, accentuated by the use with safety TR2 bindings, (fully compatible with this model). The Grilamid shell, which comes in female colours, is lightweight, flexible and durable. 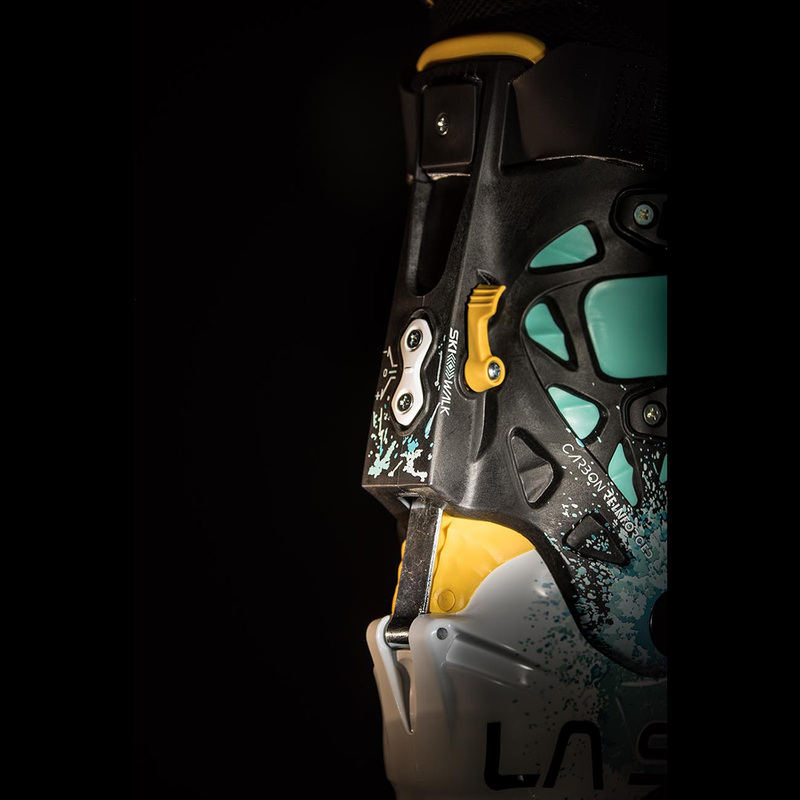 The Vertebra Technology ™ patented locking system loaded carbon is a structural part of the boot and is designed for the female morphology. 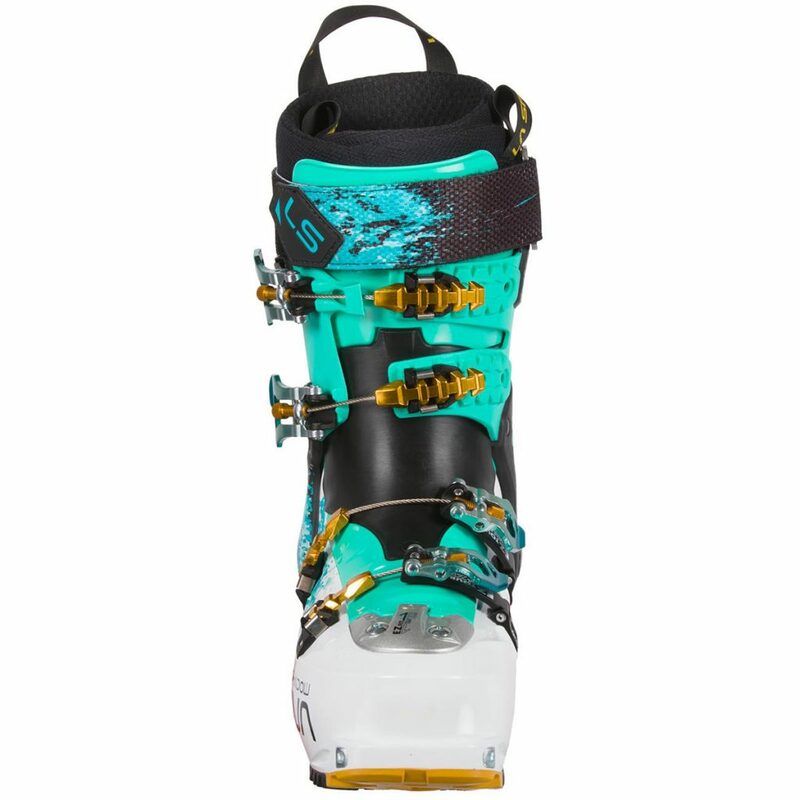 The perfect transmission of power is accentuated by the Velcro band above, the Booster Dynamic Power Strap®, a high strength elastic strap that allows flexibility and shock and vibration absorption between the shell and the leg of the skier, and an innovative hinged Double Power Tongue ™, two overlapping parts which, in ski mode, confer structural rigidity for the descent and in walk mode, facilitate the walk by increasing the mobility and flex qualities. 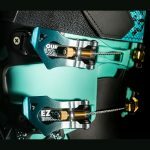 The new Buckle Pegasus Plus ™ locking system features 4 tough and precise buckles that guarantee perfect volume adjustment thanks to the micro-Backbone Control settings in a compact, functional design, and designed to facilitate opening / closing operations even with gloves while containing the total volume of the boot. 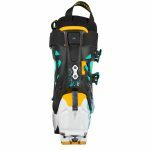 Shadow: female free-riding, go to the max.